For the longest time, fans have been hoping that this summer was the one where Garth Snow would begin to make significant moves to improve his hockey club. A funny thing happened on the way to that idea. On a day when many of the top UFA targets were retained by their old teams, the Islanders made a statement and acquired the rights to defenseman Christian Ehrhoff from the Vancouver Canucks in exchange for a 4th round pick. The move is a bold, low risk move and a perfect chance for the Islanders to try and take the next step that they need. The Islanders were expected to scourer the free agent market for a forward, but over the last few weeks gave subtle hints that they were less than thrilled with their defense, which finished 27th in the NHL this past season in goals against. Bruno Gervais was traded to Tampa, while Jack Hillen and Radek Martinek have been cut loose and are free to sign wherever they like beginning Friday. The Islanders now have the exclusive ability to negotiate with Ehrhoff over the next 72 hours and try to sell him on the idea of playing for the Islanders. The sell is going to be a very tough one - make no mistake about it. This is a team that is banking on a 'Yes' vote on August 1st, which Ehrhoff will undoubtedly hear about from Snow, Charles Wang, Doug Weight, John Tavares, Michael Grabner and maybe even Mike Bossy. Make no mistake that those currently associated with the Islanders will come out in full force to bring Ehrhoff here. Ehrhoff was offered a deal similar to the one Kevin Bieksa signed with the Canucks, which was a five year, $23 million front loaded deal worth $4.6 million per season. Both Bieksa and Ehrhoff reportedly were willing to take hometown discounts in order to stay with the Stanley Cup Finalists, but Ehrhoff decided he would take his chance at 27 to go for the gold in his prime. Many feel that by leaving a contender to go for the money, he is not necessarily about winning immediately. If that's the case, then there is absolutely no reason to think the Islanders can't get him signed, sealed and delivered by July 1st. Then with Ehrhoff in the fold, this team automatically catapults itself into the conversation for the bottom part of the Eastern conference playoff race but not as a cup contending team just yet. If it unravels and Ehrhoff decides this isn't for him, then it's nothing lost. 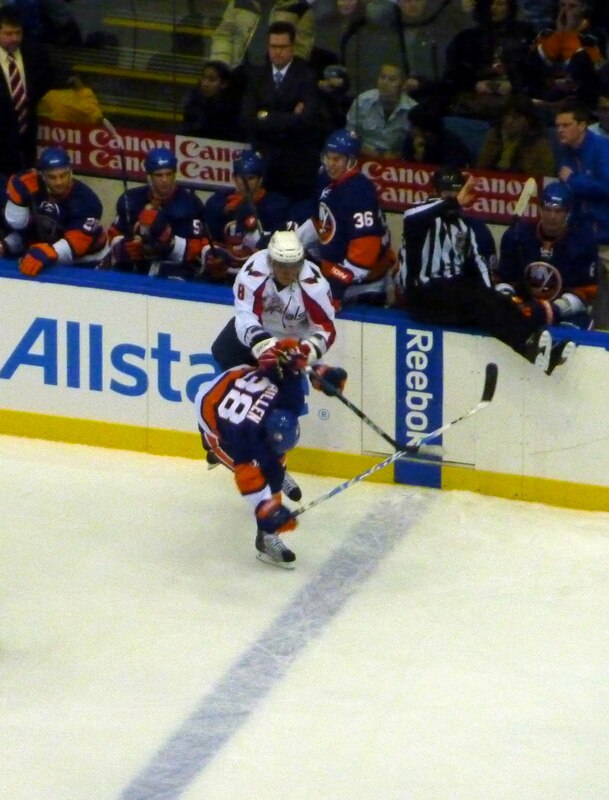 The Islanders won't simply whimper and say "we tried." This move says anything but. If Ehrhoff doesn't come, then the Islanders will move right on to their next target. Snow says he'll have a better indication Wednesday morning of where things are at with Ehrhoff, which indicates to me if something is to be consummated here, he wants it ASAP so they can hold their heads high going into Friday and point to Ehrhoff as an example of them being serious no matter what the future holds. If not, then like I said it's on to the next target be that via trade or free agency. At the end of the day, this is a right move for a team that is in need of some excitement and buzz from around the league, and on the Island where they are trying to get their arena. The fun has just begun on this ride folks. Buckle your seat belts. Monday was the deadline for NHL teams to extend qualifying offers to their RFA's or risk losing them on the open market when it opens on Friday. While there were a number of surprises that were not extended offers around the league, Isles fans had one that surprised them in Jack Hillen. Starting out the year as the odd man out, Hillen had a nice finish to the season, ending up with four goals and 22 points with 137 blocked shots. The last couple of months seemed to be the first time he had gotten the confidence back that he had prior to taking the shot in the face from Alex Ovechkin a couple of seasons ago. It appears that a lot of fans are upset about the news of Hillen testing the market, and that is understandable. Some are going with the "if it ain't broke, don't fix it" adage, but for the Islanders case it is broken. Very broken. They finished in the bottom five in goals against. Hillen is a quick, solid puck moving defenseman who can get knocked off the puck at times, leading to a loss in possession and a gain in momentum for the other team. The Islanders seem to realize they need to add some more size to the blueline and the exits of Hillen along with Bruno Gervais allow them to try and go down that path. Hillen likely isn't in line to take a 2-way deal as a depth defenseman now for the Isles and will try his luck on the open market and look for a one way. A contending team may not be willing to give him an NHL spot, but if those teams came calling Hillen would definitely jump for a NHL/AHL deal for a team like that. On this team, it was evident that he was going to be depth once again. The Islanders already have Ty Wishart, who they did qualify, as the go to guy as the 7th man, and Dylan Reese is being kept for his AHL experience and some leadership in Bridgeport. It remains to be seen if the Isles agree with the consensus in that they need to add one solid top-four guy this offseason, but this move adds some fuel to that argument. OTHER RFA NEWS: After failing to offer a qualifier to Tomas Marcinko, the Isles agreed to a one year, 2-way deal with the big center. Marcinko doesn't look like he'll become much of an NHL player, but has been a solid defensive forward down in Bridgeport and will continue to provide that this season. Defenseman Dustin Kohn, a 2nd round pick in 2004 has likely seen his last days in the organization. Kohn was not offered a qualifier and will try to latch on with a team starting on Friday. Gervais signed a new deal with the Lightning, getting a one way deal at $550K. That's a bit of a pay cut for him, but it's worth it on the one-way deal to try and re-establish himself and get his confidence back up. Good luck to him. 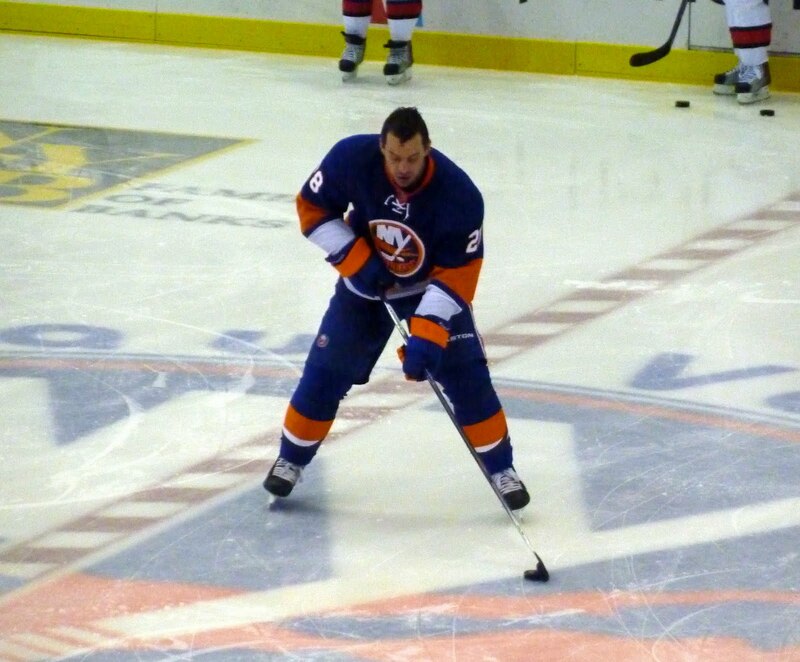 Josh Bailey, Blake Comeau, Micheal Haley and Jesse Joensuu also received offers from the team. FOR THOSE WHO ARE CONFUSED: A qualifying offer is extended to a player so a team cannot lose their rights. A player doesn't have to accept it until later in the summer, but it gives teams the ability to match any offer sheets that come the players way. Often times players will not be given QO's and come to terms with their teams anyway (like the Isles did with Marcinko and the Penguins will likely do with Tyler Kennedy). A QO gives a player a 10% raise if they made less than $660K in the previous season or 5% if they made up to $1 million. If you missed our live show Sunday, you can find the recording here or download the podcast of it or previous shows here. While many were focused on the madness that was draft weekend, the Islanders made a separate transaction that marks the end of an era for one Islanders defenseman. On Saturday the Islanders announced that they had dealt defenseman Bruno Gervais to the Tampa Bay Lightning in return for future considerations. Those future considerations will likely be a late round draft pick in the 2012 draft. The deal marks the end of a six year run for Gervais on Long Island, a roller coatser ride if there ever was one. Gervais was originally drafted in the 6th round back in 2003. While many players in the later rounds were long shots, after a couple of years it looked like the Islanders may have found a gem. After a solid rookie year in the AHL with eight goals and 30 points in 76, Gervais followed that up with 17 goals and 42 points in just 55 AHL games during the strike year of 2004 - 05 leaving many to wonder what he could do at the NHL level. 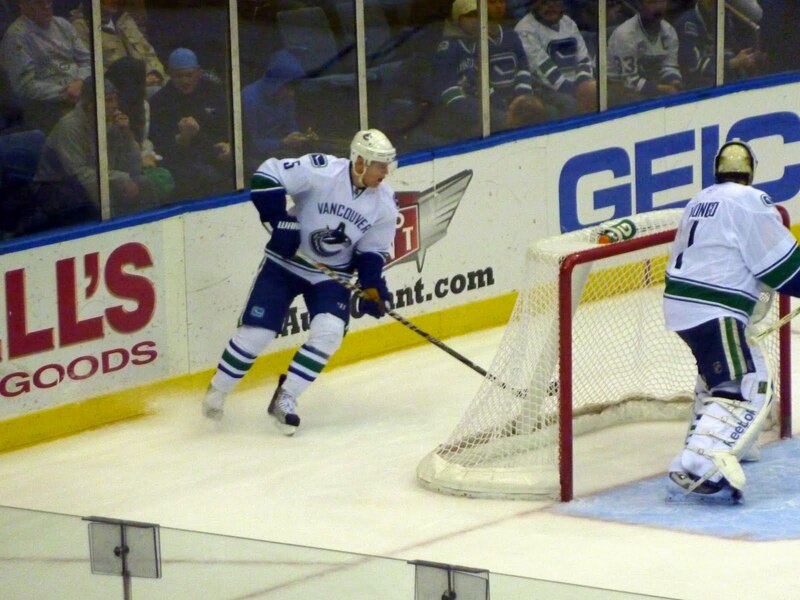 Gervais showed flashes, most recently near the end of 2008 - 09 after being paired with Mark Streit. The strong play is what made the Islanders keep him over Chris Campoli when it became abundantly clear that they were very similar players, as Campoli began to show signs of regressing. Unfortunately, Gervais would be unable to keep that up for his remaining two seasons and became a depth defenseman on a team that already had plenty. Seeing as the Islanders still do have all of that depth and not quite enough top-end blue liners, Gervais became the first casualty of a potential house cleaning on the back-end. Current Lightning Assistant Coach Dan Lacroix seems to have successfully sold Head Coach Guy Boucher and General Manager Steve Yzerman on the idea of bringing in yet another recent ex-Islander player, of which they are three-for-three so far (Dwayne Roloson, Nate Thompson and Sean Bergenheim). Gervais is due to become an RFA on Friday but I'm assuming Tampa plans on him staying for a year. Personal Note: Bruno Gervais was one of the first Islanders Sean and I interviewed following one of the opening days of training camp, our first in the Blog Box. We walked into the locker room with one of the other bloggers, and Bruno immediately looked in my direction. After introductions were out of the way, he looked back at me and said "Please don't tell me you're cold!" On the way out he requested that I bring a jacket next time. It's no secret that Bruno was a great guy off the ice, and that part will surely be missed on the Island. We can take solace in the fact that there have been other players who have had the chance to see that side of him for the past few seasons and will undoubtedly pick up where he left off. Best of luck to Bruno as he opens up the next chapter of his career. Over the past couple of seasons, the Islanders have made no secret of the fact that they wanted to add some more skill up the middle. On Friday night, they took a huge step forward in accomplishing that goal. After missing out on Ryan Johansen at last years draft when they ended up taking Nino Niederreiter, the Islanders had their choice of a couple of centers in 2011. Many fans seemed split on whether they wanted Sean Couturier or Ryan Strome. As many of you know by now, I was a big fan of Couturier's and wanted the Isles to select him. But in the weeks leading up to the draft as we learned more about Strome, I was warming up to the idea. It seems like the Isles did as well. Strome fits a need of what the Isles are looking for. They wanted to add that skill, but in Strome they also add some speed and a great style. Strome is a guy who isn't afraid to cut to the net, and by many accounts is as far from a perimeter player as you can get which is remarkable when you consider he isn't the biggest guy out there. Knowing that, it definitely puts some more attention into Josh Bailey's corner. While his primary position is center, Bailey has also spent some time at the wing. The Islanders need to decide if they prefer to have Bailey at center or wing, and at the same time Bailey needs to step up a bit and prove that he can play anywhere at any time. He's now going to have Strome breathing down his neck for that 2nd line center spot for sure in the future. When it comes to analyzing some of these guys that we may not know much about, we usually always rely on scouts. While that is obviously one of the better means, it's also good to hear from analysts who watch him more regularly. Enter Jeff Marek. In the end, he really sold me on the idea of Strome. Marek, an analyst/radio host for Hockey Night in Canada, sang the praises last season of Jeff Skinner. I'll have to be honest - as much as people pointed that out, I didn't listen because I was too enthralled with what the "scouts" had to say. Last week in an interview with Chris Botta, Marek sang the praises of Strome. He even went as far to say the Islanders hit a "home run" with their selection after they made the pick. I really like the pick of Strome because it helps to solve some of the issues that this team has up the middle. We all love Frans Nielsen and how he plays, but in a perfect world he is centering a 3rd line. Strome has the ceiling to center one of the top two lines, but given the fact John Tavares is a center and should remain there will make for an excellent second line pivot. Some folks were upset in not grabbing a defenseman, but I'm fine with leaving Dougie Hamilton on the board. The defenseman I really wanted was Adam Larsson, and do think that if he slipped past the Devils at 4th then Snow would have taken him. The Islanders will have some chances to get some solid, big defenseman in the second and third rounds at the beginning of day two (11 AM ET). Look for Scott Mayfield as a potential target. He's a big, nasty defenseman who spent last season in the USHL. The Islanders have gone down the USHL pipeline before and have picked out a couple of solid guys (Kyle Okposo and Matt Donovan to name a couple). We got some great video footage last night, and have put up some of the clips from last night on our YouTube page. We have a couple of more that will be uploaded as the day goes on so be sure to check for those. We're also going through some of the photos we took to put into a photo gallery. We hope to have that up for our draft round-up post. Be sure to check back later for any possible big news in Isles Country. As we get down to the final hours before the 2011 NHL Entry Draft takes place, I'm seeing more and more people saying that Garth Snow should trade the 5th overall pick for NHL talent. The calls for this seem to grow with the news of the blockbuster trades made by the Philadelphia Flyers as they sent Mike Richards to the Los Angeles Kings and Jeff Carter to the Columbus Blue Jackets. Don't get me wrong - this line of thinking is a great one. Sean even brought this up during our podcast last weekend, saying that he expects them to trade the pick - but was more hinting at trading down to pick up other assets and then parlaying some of those into NHL talent. In all honesty, while the second scenario seems like it could be a fantastic approach to Friday night, I think that if the Isles are moving down for a player they like then it's with the idea of drafting one or two of those players high on their draft board rather than to move the picks. When Sean mentioned that he wanted to see that pick moved, I pressed him on who had in his head that could be had in exchange for the 5th overall pick. The only (realistic?) idea he could come up with is Paul Stastny of the Colorado Avalanche. Other names he came up with? Zach Parise and Drew Doughty. As nice as Paul Stastny is, he's not a player I'm giving up a 5th overall pick for. In reality, there is no one out there that could be had for a top five pick. When people talk about making trades for "proven talent," you have to keep in mind what they were traded for. The last time a top five pick was traded for proven talent? Our very own New York Islanders did in 2001, in a package for Alexei Yashin (2nd overall). There are only extenuating circumstances where a player like that becomes available, and as usual that is not the case this year. But what about the trading back scenario? Well, that would be more plausible. - The Avalanche traded Alex Tanguay to the Calgary Flames for Jordan Leopold, a 2nd round pick (59th) and a conditional pick. - The Kings trade Pavol Demitra to the Minnesota Wild for Patrick O'Sullivan and the 17th overall pick. - The Flames trade Tanguay and a 5th round pick to the Montreal Canadiens for a 1st (25th overall) and 2nd round pick (48th). - The Kings trade Mike Cammalleri to the Flames for a 1st round pick (17th). - The Flyers trade R.J. Umberger and a 4th (118th) to the Blue Jackets for a 1st (19th overall) and a 3rd (67th). - The Anaheim Ducks trade Chris Pronger and Ryan Dingle to the Flyers for Joffrey Lupul, Luca Sbisa, a 2009 1st round pick (21st) and a 2010 1st round pick (29th). - The Florida Panthers trade Keith Ballard and Victor Oreskovich to the Vancouver Canucks for Steve Bernier, Michael Grabner and a 1st round pick (25th). At the end of the day, if the Islanders are bringing in that proven vet at the draft then it would most likely come after trading down once or twice to gather up assets they can use to move for talent. Those of you hoping for it to play out this way can keep that in mind with thoughts of Brent Burns, Ryan Malone, Scott Hartnell and whoever else you may have dancing in your head. What do I think? I think the Islanders are going to stay right where they are at five and make their pick. After the dust settles, the Islanders will have drafted Ryan Strome. Sean and I will both be at the draft today and are planning to make our way around the parking lot. We'll both have cameras, and I plan to take some candid shots of fan activity for a photo gallery of some kind. So if you see us roaming around, please do come up and introduce yourself. We'd love to meet some of you. There are couple of things going on that you may have noticed I haven't written about yet (Doug Weight's award, Radek Martinek update, analysis of the Flyers' trades) but that will be coming at some point later. We're trying to focus solely on the draft items for now and go from there. The Islanders kicked off a weekend that would bring plenty of news by announcing the return of controversial pugilist Trevor Gilles, agreeing with the forward on a one year, two-way contract. Many wondered out loud if Gillies' antics leading to two lengthy suspensions would mean that the Islanders would part ways with him. While many folks enjoyed the bashing of the Penguins back in February, some voiced their displeasure for the way Gillies acted in injuring Eric Tangradi. Personally, I was done with Gillies and really don't see any more use for him on this team. While it's nice that he's a fan favorite and the players might really like him, I'll point out that this is usually the case with tough guys all around the league. Gillies could have been replaced with many other guys who the fans and players would have loved just as much. For example, Zenon Konopka last season. People fell in love with him right away. Now, the better hockey player in Konopka will most likely be sent away. It's not hard to be the superior hockey player in this scenario, but when it comes to having additional muscle aside from Matt Martin this should be coming in the form of Konopka, not Gillies. Furthermore, don't let the two-way part of Gillies' contract fool you. He was on the same kind of contract last year and ended up sticking with the Isles for most of it when not sidelined serving suspensions. I'm not trying to deprive the developing youngsters on the team of having a guy willing to throw fists around, but there are plenty of guys out there you can bring in who won't provide as much bad publicity, would be liked just as much and can play a semi-regular shift if need be. Third Jersey: There has been a lot of talk since the season ended that the Islanders are coming out with a third jersey to wear for various dates next season. While nothing has been confirmed, there does seem to be some information available that leads many to believe that we will indeed have one next season, and it will be black. I wasn't always a big fan of incorporating black into the Islanders color scheme for the sake of trying to produce a new jersey, however there are a few scenarios where I could see it working. Some fans have posted on message boards what they have heard it might possibly look like and have tried to come up with some designs based on that. Like I said, some things seem to work pretty well, others not so much. While Sean discussed what he heard and his feelings of the idea of a black jersey in the latest podcast, I let it be known that this is so far down on the totem pole for me. Many teams love trying to put black into their alternates because of the fact that it "goes with anything." I personally don't care so long as it's done the right way and as long as it doesn't affect player performances. If a well known, respected player is going to be wearing it next season after being signed or traded for a pick in the upcoming draft, then I'm all for it. As long as the product on the ice is superior to anything we've seen for much of the past four years, they can wear what they want. One Big Happy Podcast: As mentioned earlier and as promised a couple of weeks back, Sean and I got together this weekend to have our annual pre-draft podcast. In the past when on a time constraint, we would normally restrict this to just talking about the draft. But we were able to expand on our thoughts for this one, and talking about the draft went into talking about trade possibilities for the pick (or other picks currently not in the Isles possession), to talking about past drafts, third jerseys, some referendum stuff and a whole lot more. Two hours later, we were finally content with ending the show. Hopefully, you guys enjoy the extra long banter. The podcast is split up into two parts. You can download the podcast by going here. We'll file this post under "better late than never." It's been a week since Doug Weight officially announced his retirement from the NHL and the Islanders announced his new title as Assistant Coach and Special Assistant to General Manager Garth Snow. Weight announced his retirement at a press conference in the Marriott next to the Coliseum in a ceremony that was done the right way for a guy of Weight's stature. "It's very difficult and humbling to be here today to officially announce my retirement after 19 seasons," Weight opened. It was in the middle of that first sentence where he really felt it, and you suddenly started to realize that one of the greatest US born hockey players would no longer lace up the skates. That Weight took the time to talk about every team he played for shows you the class that he was and still continues to be filled with. With each team, he had to take various pauses when speaking about the opportunities that were provided to him and how he ended up in each spot. When Snow spoke, he brought up a word that a young player used to describe Weight at the team's end of the season dinner: presence. Snow agreed with this and acknowledged that key attribute as a huge reason why he was keeping him on in the new role. I can agree as well with "presence" as being a perfect word for Weight. Anyone who watched parts of the press conference can see how he was able to capture the audience's attention, leaving them hanging on to every word, perhaps waiting on the next wisecrack. Weight spent most of my childhood years on a talented St. Louis Blues team that was in the midst of a long streak of making the playoffs - one that would last 25 years and end in 2004. He along with talent like Al MacInnis, Keith Tkachuk and Chris Pronger were a huge part of those talented teams, but they would never bring home a cup. Weight had always been one of my favorites growing up. He was one of those players you would have loved to see in his prime play for your team, but unfortunately you sort of knew there was no shot you were going to get him. Given that, you can imagine what it was like for me to deal with Weight personally in my first year as a member of the Blog Box. Unfortunately, I didn't get to have as many interactions with Weight the player as I would have liked, but there's nothing you can do about that when someone has serious injury issues like the ones that plagued Weight in his time as an Islander. It was September at the first day of training camp. Sean and myself showed up to interview a few players and get some liners from them. No one skated that day as the players only did their off-ice workouts. One of the first players we bumped into upon our arrival was none other than Weight. He was on his way out, but stopped for a few minutes to introduce himself. After joking with him that he needed no introduction, he asked our names and spoke to us briefly before helping us out with some audio for the first podcast of our new adventure. He ended our conversation by explaining that if we needed anything to have the team contact him, and he "looked forward to dealing with us this season." So here we were, two guys who love hockey, the Islanders and idolized Weight as we did with many of the Team USA guys, having a conversation with the guy as if we knew him for years. Presence. That is why the position the Isles have given Weight is perfect for him. This is why the NHL needs to keep Weight around. Weight will undoubtedly play an important role in attempting to recruit prospective free agents. It's not a bad thing to have a resume like he as, not to mention a reputation. That reputation is obvious to many players - even those who never met the guy. Upon hearing about the retirement of two Team USA mainstays in Weight and Brian Rafalski, Edmonton Oilers defenseman Ryan Whitney tweeted "Congrats to Doug Weight and Brian Rafalski on two amazing careers. Both American born players, Stanley Cup champions and great guys." "Best part is I've never met Doug Weight but hear he is a great guy and me saying that makes my other tweet sound better." Unfortunately, the Islanders spent much of the past year devoid of "names" in high positions to bring some credibility. Weight is a name that brings a good chunk of that back. It's going to mean a lot for some players when they hear from Weight, who spent extended periods of time with some fantastic franchises, speak so highly for the Islanders where he spent only three years. The Islanders have made some positive waves this offseason with the re-signings of Michael Grabner and Kyle Okposo and maybe the arena bit, but this move for Weight is a very underrated one. Don't underestimate the power of his voice going to bat for a franchise that, to anyone on the outside, may not seem like it would mean as much to him as Edmonton or St. Louis. Sean and I are both thrilled for Doug and happy we'll still be able to see him around the ranch, so to speak. Hopefully we'll be able to do some interviews with him as he makes the transition from the on-ice to off-ice stuff. The first day back from a nice, long weekend brought news for fans of the NHL from all angles. While one area officially lost their team, another one - Long Island - took a (small) step towards retaining theirs. The Nassau County Legislative Board got together as they were supposed to, one week after discussing the proposal by Ed Mangano and agreeing to vote on it. A week ago, it seemed as though the plan would have a decent amount of support behind it, although not a majority. But when the discussions opened up on Tuesday, there were plenty of disagreements. Legislator Wayne Wink brought up his ideas again, the main argument being the changing of the vote to Election Day on November 8th. His line of thinking was that you could get more people to vote and get a better representation of where people stand on the arena issue. This amendment failed however, and that should be a big sigh of relief to us all. A vote on election day would have given this thing the kiss of death that it didn't need. Even if it passed on Election Day, you're losing three months that really need to happen to get workers lined up and estimates complete to do the job. Dave Denenberg would then try to amend the referendum, asking for the vote to be held on the day that New York holds it's primary in September. Although not too far from the August date, you need to be affiliated with one of the parties to be able to vote in a primary. So, this too was a no go for the legislature. Denenberg fought tooth and nail up until the part when he was declared out of order. The real kicker in his antics for the day though? When the time to vote for having the referendum on August 1st came, the vote passed 11-7 with Denenberg being the only Democrat to vote yes. Was that out of spite since he already knew the minor majority needed was in place with more Republicans than Democrats? Or was he being sincere and realizing that he doesn't want to be one of the main reason why the Isles leave if a no vote happens in August? Remember, there are still plenty of hurdles to climb here. The people have to vote on August 1, and the legislature will have to approve it once more. While I find it hard to believe they won't give it the majority it would need if the people say yes to it, I would be a bit concerned about the NIFA factor. I think that's a greater hurdle than the potential of one of the politicians saying "I'm still saying no because the people who came out to vote in the middle of summer aren't indicative of my constituents," or something to that effect. Welcome to politics on Long Island folks. We'll provide you with some barf bags. Please remember, especially if you are in Nassau County, that you must make your voice continuously heard in a respectful manner. If you have friends who live in Nassau, explain to them how important it is they vote for the project. Not just from an Islanders standpoint, but as something we could all benefit from. Offer to drive them to the polls or even buy them a meal after they do their civic duty. If you're around my age, you understand the importance of trying to get something we can be proud of built somewhere here on this Island. So tell your legislation how you feel. Write to them. Write to NIFA and explain how you hope they won't hold anything up if this is what the people are asking for. Talk to those you interact with on a daily basis. If you're friends with enough reasonable people, just you being so passionate about this could make them more willing to do you a favor (and them in the long run although they might not realize it just yet). Please make sure you are following "Vote Yes for NYI Arena" on both Twitter and Facebook for updates and some clarification on anything that may confuse voters.